Shopping for a Christmas gift for an expert fisherman (or fisher-woman) in your life? 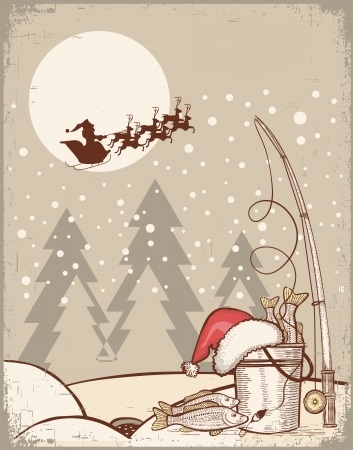 We put together a list of some great gift ideas for the avid angler in your life! Many fishermen spend long days (and nights) out on the open water, so when the sun goes down, they’re going to need to shed some light on the situation. An inflatable solar light is easily transportable and is completely solar-powered, so there’s no need to worry about replacing the batteries. How long has your angler been lugging around the same duffle or tackle box that has clearly seen better days? We think it’s about time to turn to new and improved gear this year! Just be sure that there’s enough room for all of the supplies and tools a fisherman could need at the ready out on the boat. This one’s a no-brainer—treat the fisherman in your life to a guided charter trip! A fishing excursion is a fun way to escape the hustle and bustle of everyday life and truly dive into the sport. Combining luxury with adventure, it’s an experience you will love to share with the fisherman you love. Anyone who’s spent a decent amount of time on the water knows quality sunglasses are a must-have. Make sure they’re comfortable to wear and are equipped to take on a full day on the water. Looking to book that guided charter trip? The Triple Trouble is well-equipped to provide you with the experience you’re looking for out on the Gulf waters. Check out our charter availability and call us at 256-431-5767 to learn more. We look forward to hitting the open water with you!